Fantastic news for Liberian forest elephants as the President gives her formal signature for the immediate implementation of a National Elephant Action Plan. In a pivotal turning point for elephant conservation, Liberian President Ellen Johnson Sirleaf has formally signed off on a National Elephant African Plan – devised by Fauna & Flora International (FFI) and partners and funded by Stop Ivory – to help tackle the growing threats to the country's forest elephants. This is a significant achievement that will place Liberia in a strong position internationally to attract much-needed support for elephant conservation. Forest elephants are currently classified as a rarer subspecies of African elephants, although some experts now argue that they might be a separate species. An escalation in poaching means that forest elephants are severely threatened, with numbers thought to be as low as 300 individuals (though a lack of recent systematic studies makes it difficult to estimate numbers accurately). Among other things, the National Elephant Action Plan helps to identify specific actions and interventions for which targeted funding will be sought to address this data gap. 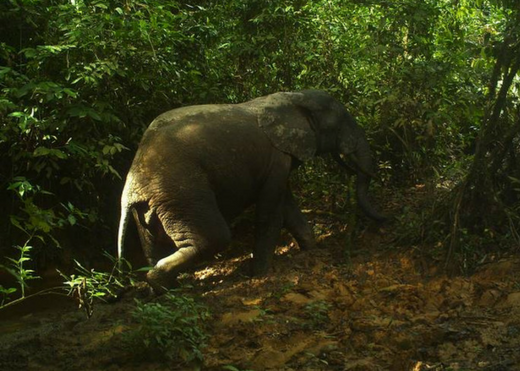 This will include a nationwide baseline assessment of forest elephants – the first for Liberia. West Africa has lost more than 90% of its suitable elephant habitat over the last 35 years, as a result of logging, mining and agriculture. This loss of habitat is highly detrimental for elephants as they require vast areas to roam, so their survival depends on safeguarding sites and the corridors connecting them. Forest elephants are only found in eight African countries, and among these countries, Liberia has the largest forest cover, so Liberia's population is extremely important. 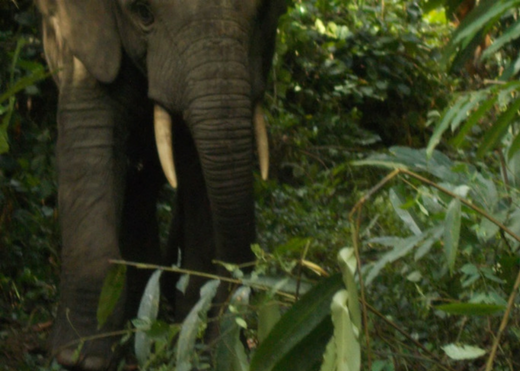 The new National Elephant Action Plan will complement the broader African Elephant Action Plan by providing a guide for the protection and conservation of forest elephants in Liberia. This is not the first time that Liberia has taken a leading stance on elephant conservation. In 2015, the country became the first West African countries to pledge support for the Elephant Protection Initiative – an African-led, intergovernmental initiative to protect elephants and stop illegal ivory trade. With the new action plan in place, Liberia will now be eligible for funding under this initiative. "This action plan is an essential step in coordinating efforts at a national level," said Michelle Klailova, FFI's Liberia Programme Manager. "It will allow us to obtain a better understanding of the issues surrounding the distribution and conservation of Liberia's elephants, identify the key threats and establish a programme of measures to ensure the survival of the species in Liberia. "The Liberian President's signature will ensure the ideas and objectives towards elephant conservation are not just theoretical but actually implemented through the action plan," she added. FFI has been supporting conservation in Liberia since 1997 and – despite setbacks such as the 2014-2015 Ebola outbreak (which, aside from the terrible human toll, halted conservation activities) – has seen great progress being made. This new commitment by the Liberian President is an encouraging step in showing the government's commitment to protecting its natural environment.